BBC BASIC for Windows is an implementation of BBC BASIC for Windows™ PCs. Download a trial version of BBC BASIC for Windows. Read the online BBC BASIC for Windows manual. 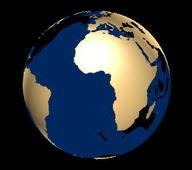 Download and try some free example BBC BASIC programs. Buy BBC BASIC for Windows. BBC BASIC for SDL 2.0 is a free cross-platform implementation of BBC BASIC for Windows™, Linux (x86), Mac OS-X, Raspberry Pi, Android and iOS. Download the Linux (x86) edition. Download the Mac OS-X edition. 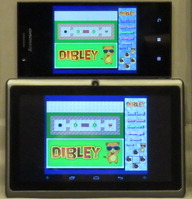 Download the Raspberry Pi edition. 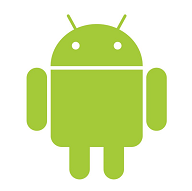 BBC2APK is a Windows utility for creating an Android Application (APK file) from a BBC BASIC program (BBC file). LB Booster translates Liberty BASIC programs into BBC BASIC for Windows and runs them up to ten times faster than the original. It also compiles Liberty BASIC programs into compact standalone executables, and overcomes many of the bugs and limitations in Liberty BASIC. QB2BBC is an automatic translator from QBASIC (or QuickBasic) to BBC BASIC for Windows. Using the translator most QBASIC programs can be converted to BBC BASIC without the need for any 'human assistance'. Download the QBASIC to BBC BASIC translator (free). This free Windows™ screensaver displays an accurate simulation of the Rotating World symbol (variously known as OWL or COW) as broadcast in BBC1 programme junctions for six years starting in 1985. Download the Rotating World screensaver now. This free Windows™ screensaver displays a very realistic analogue clock, with a choice of dials, hand types and second hand motion options. 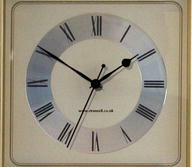 You won't believe it's not a camera looking at a real mechanical clock! Download the GNAT Clock screensaver now. With MSF you can lock your PC's clock to the National Physical Laboratory's date and time reference. BBC BASIC (86) Plus for MS-DOS is an implementation of BBC BASIC for PC compatibles running MS-DOS™ or Windows 3.1. 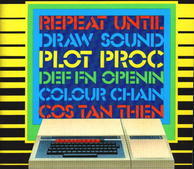 Download the full version of BBC BASIC (86) Plus. Read the online BBC BASIC (86) Plus manual. 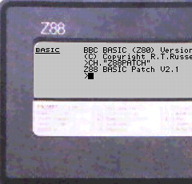 BBC BASIC (Z80) is an implementation of BBC BASIC for Z80-based CP/M computers. Download the generic CP/M version of BBC BASIC (Z80). Download the Amstrad CPC version of BBC BASIC (Z80). Download the Tatung Einstein version of BBC BASIC (Z80). Download the Torch Second Processor version of BBC BASIC (Z80). Load this free patch program into your Cambridge Computer Z88 to add high-resolution graphics and a BASIC line editor (requires OS version 2.2-3.0 or 4.0 and 128K RAM). Download the Z88 BASIC patch now.